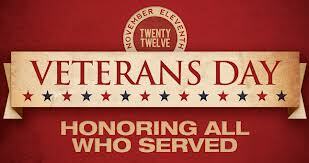 Whether you were cheering them on at the Veterans’ Day parade or shout your gratitude to the closest man/woman in uniform.Thanking REAL heros for their bravery and sacrifice in defending us was very, very necessary for Veterans’ Day. 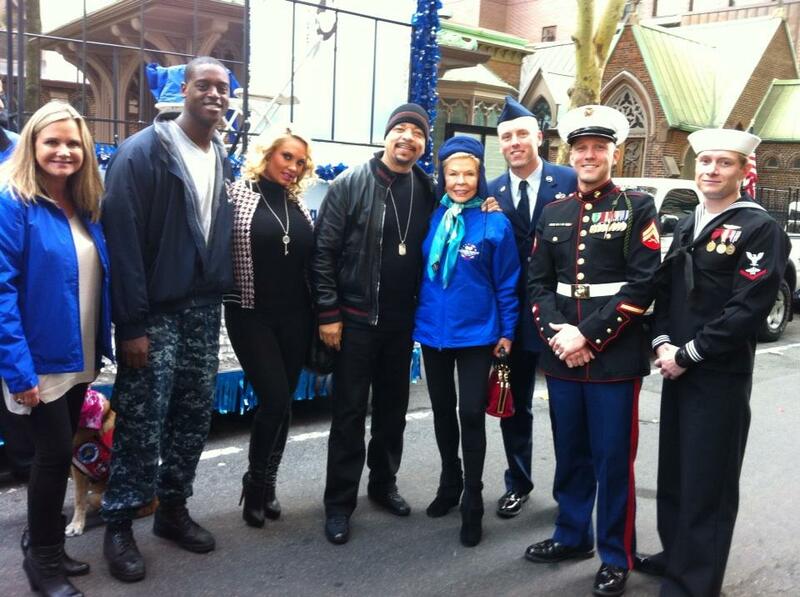 Actor/Rapper Ice-T was honored for his service in the Army by riding a float at NYC’s Veterans Day parade. 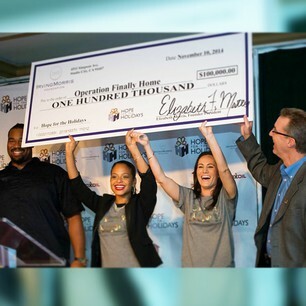 Singer/actress Christina Milian showed her troop support by putting her arms to work by taking the “Pledge Ur Allegiance Challenge” from Hope for the Holidays, which requires you drop and give as many pushups as you can handle. In Christina’s case it’s 20. Good thing she worked out ’cause how else would she be able to hoist that massive check she donated (a major part of the Challenge) to Hope for the Holidays. Songbirds Jennifer Hudson and Rihanna sung their appreciation at HBO’s Concert for Valor in D.C. During live performances, RiRi sang her biggest hits, including “Diamonds in the Sky” to a huge armed forces audience. And brought out her duet partner, Eminem to share the stage. All money raised from the concert will go towards orgs that benefit veterans. Thank you to all those who served and still do. It’s sickle cell awareness month and to raise awareness for this overlooked disease–that more of us suffer from than you think–we’re highlighting a model spokesperson. No, literally!! Jourdan Dunn was tapped by Sickle Cell Disease Association of America to be their ambassador. What does the gorg supermodel that slays fashion runways and a Beyoncé vid have in common with a debilitating illness affecting red blood cells? 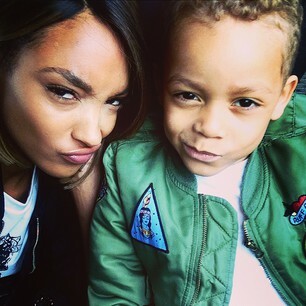 To erase those thought bubbles from your head, here are a few good reasons Jourdan Dunn wasn’t just a pretty face for the Association: She tells Vogue she carries the sickle cell gene and passed it onto her four-year-old son, Riley. She knew he would get the illness but still was heartbroken when she received the diagnosis. But swallowed her guilt and put on her brave face to deal with the reality. Now she’s educating others through her Cell for Gratitude charity initiative. She already put her fashion skills to good use by designing a cell necklace in which proceeds go to the Association. 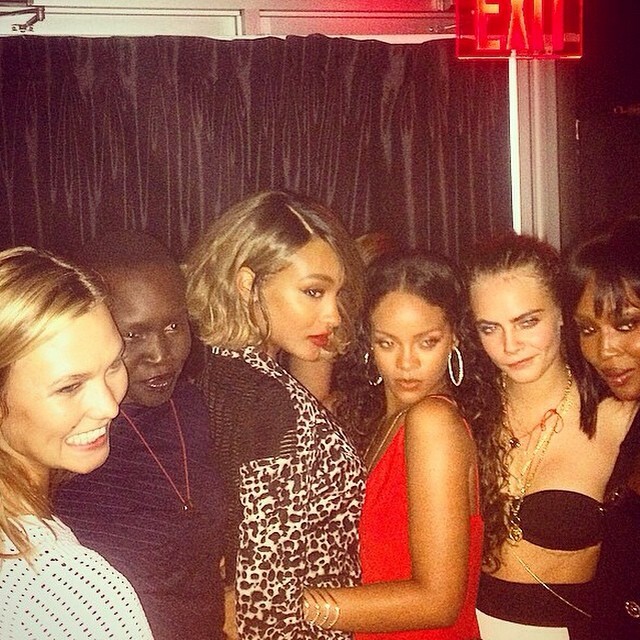 And rallied famous friends–Rihanna, Naomi Campbell, Alek Wek, Karlie Kloss and Cara Delevingne–to her “Cell for Gratitude” launch during New York Fashion Week. I don’t want people to feel sorry for my son or me. I’m not ashamed about sickle cell anemia. I want to talk about it because there are a lot of people in the industry who have sickle cell or who have a family member that has it, but they don’t talk about it. Many others don’t know if they even carry the gene. Unlike normal blood cells that are round, those with sickle cells are oval shaped. And when the blood cells are clogged–due to infection or body temp changes–it triggers unbearable pain. Jourdan says her goal as Association ambassador is to brush off the shame of the illness and get people talking. 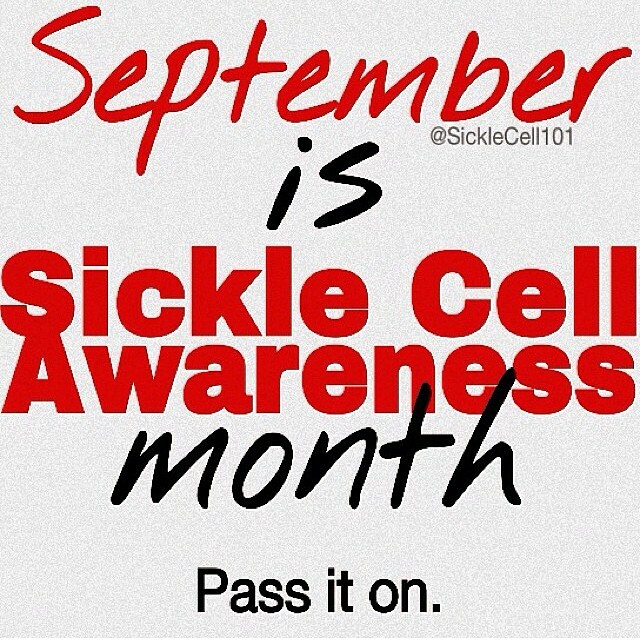 I want people who have it to speak up because sickle cell anemia isn’t something to be ashamed of. There are other people dealing with it, and we shouldn’t turn a blind eye.